Advice: Are you thinking about installing a solid fuel stove or opening up a redundant fireplace, do you have problems with your existing fire, or have a problem with damp on your chimney breast. We are here to give you the best solution. 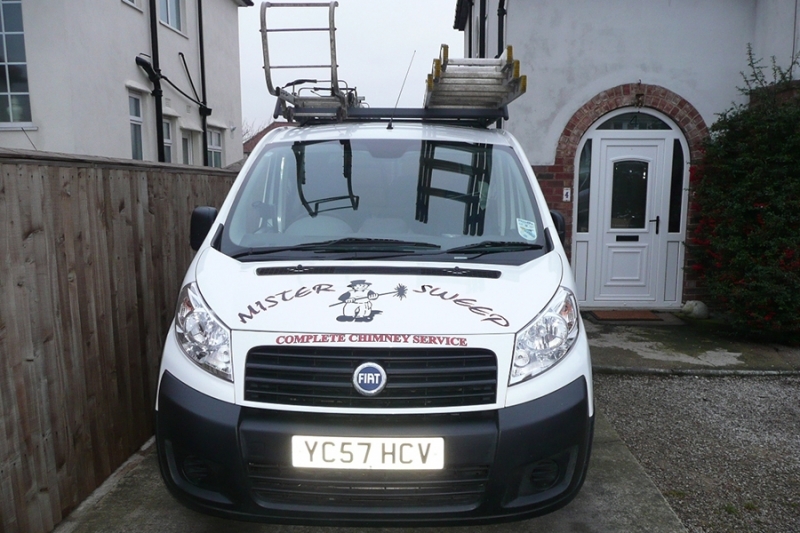 Chimney Sweeping: We are a member of the National Association of Chimney Sweeps which means your chimney will be swept to the very highest standard using traditional brush and vacuum to BS 6461, on completion of your chimney sweep you will receive a NACS certificate of chimney sweeping. Birdguards/Cowls: Solid fuel and gas cowls supplied & fitted for protection from vermin, rain and cure down-drafting problems. Cowls also help to limit flue deterioration. All gas models conform to BS regulations. Bespoke cowls can be ordered. Chimney Repairs: We supply and fit new chimney pots and carry out most minor repairs to pointing on your stack. If you require any of the services listed above or wish to speak to us please do not hesitate to contact Mister Sweep 01423 548740.